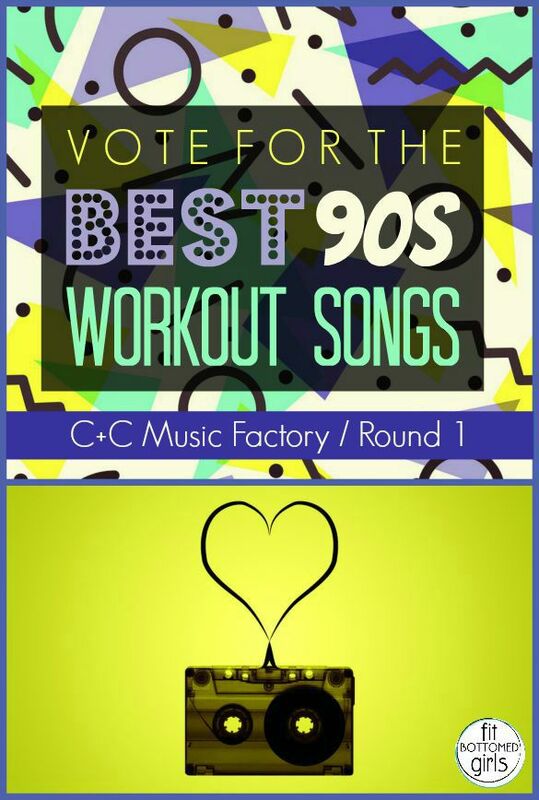 We’re already into the third week of the Ultimate 90s Workout Song Battle — can you believe it? 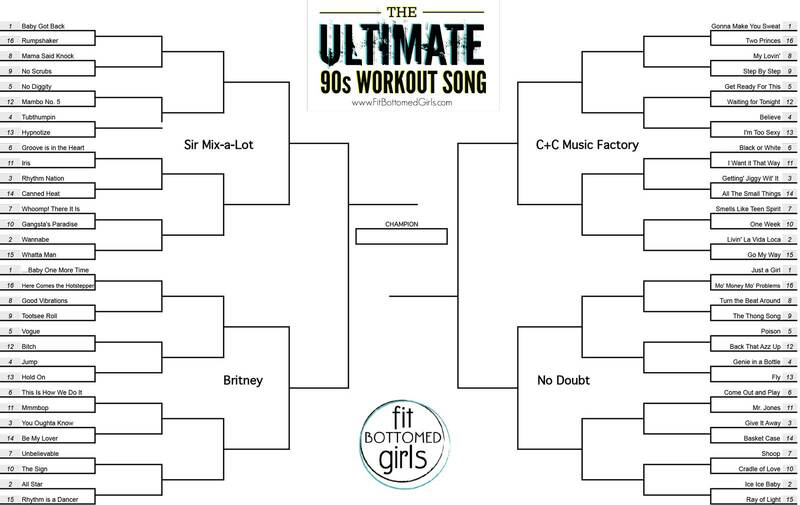 Voting is still open for the Sir Mix-a-Lot and Britney brackets (but not for long! ), and today, we’re unveiling one that’s gonna make you sweat: The C+C Music Factory Bracket! 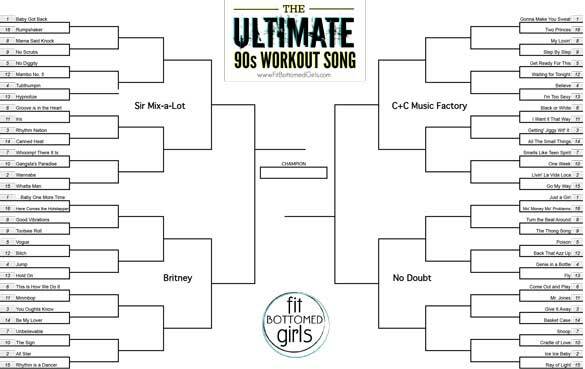 You can check out all the match-ups in the bracket below (just click on it to see it in a slightly more readable size), and then scroll on down to cast your votes for the best workout songs. There are some amazing tunes in there — Right Said Fred, NKOTB, Lenny Kravitz, Nirvana … How are you gonna choose? Michael Jackson vs. The Backstreet Boys?! WHYYYYY?!?!?!!! !